Going up to Sitka Alaska! Re: Going up to Sitka Alaska! Up in Fairbanks where it is -26.. Boat will be running the end of February..
H20doctor wrote: Yep... just silence ... Diver Dave does Have a compressor.. So that's a Plus ... But No Boat, So that option is to ask around to Sitka Residence, and come up with a Boat Plan ... Cause shore diving there stinks..
Holy thread resurrection Batman!! When I first read this I was pissed off at Bassman for planning this trip and not telling me!?!! Yep... just silence ... Diver Dave does Have a compressor.. So that's a Plus ... But No Boat, So that option is to ask around to Sitka Residence, and come up with a Boat Plan ... Cause shore diving there stinks..
You know I’ll be back for trip number 3 really soon. I’ll plan something for January. As always thanks for all your generosity, free air and sharing some of your secret bottle diving spots. Let’s add to our steamship cups and plate collections.. Anyone coming up in 2019???? Talk to you on the ICQ, at Daves, while we are there! you and nice diver have a god time and give dave a wedgie for me he has one comming for one reason or the other I just cant think of one right now . nice-diver and myself are headed up to dive with Diver-Dave on Feb 24th and returning on Mar.1st. 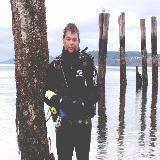 1st dive should be a night dive in the Sitka Harbor, length of dive will depend on how much the Sea Lions harass us. we will be giving reports from Sitka. Stay tuned!!!! !